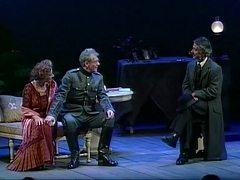 Excerpt from the 2001 performance of "Dance of Deatch" at the Broadhurst Theatre, co-starring Ian McKellen and David Strathairn. 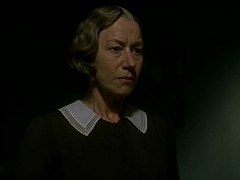 Before leaving, Mary (Kelly MacDonald) has an intimate conversation with Mrs. Wilson (Helen Mirren). 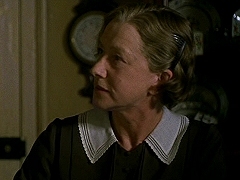 Mrs. Wilson (Helen Mirren) tries to learn more about Mr. Parks' (Clive Owen) background. Denton (Ryan Phillippe) brings an American flair of confusion to the kitchen staff. 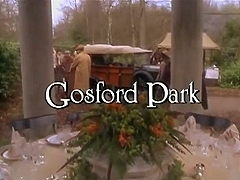 Promotional featurette on the making of Gosford Park, featuring interviews with the cast and crew. Press junket and on-set interviews with Robert Altman, Helen Mirren, Ryan Phillippe, Kelly MacDonald and Kristen Scott-Thomas. 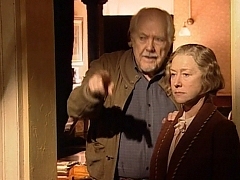 Theatrical trailer for Gosford Park, directed by Robert Altman and starring Michael Gambon, Kristin Scott-Thomas, Maggie Smith and Helen Mirren. 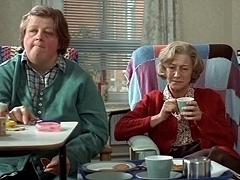 Amy (Helen Mirren) visits her mentally disabled daughter June (Laura Morelli). 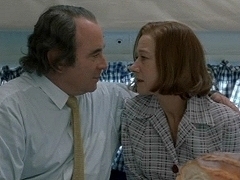 In a flashback, Ray (Bob Hoskins) and Amy (Helen Mirren) get closer. 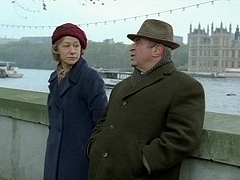 Ray (Bob Hoskins) and Amy (Helen Mirren) meet for a trip down the memory lane. 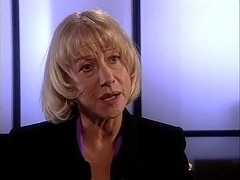 Helen Mirren is interviewed on the set of "Last Orders". 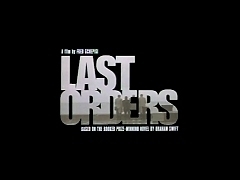 B-Roll footage from the making of "Last Orders". 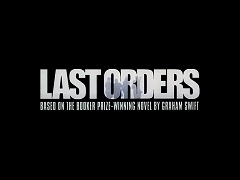 British theatrical trailer for Last Orders, starring Bob Hoskins, Michael Caine, David Hemmings and Helen Mirren. American theatrical trailer for Last Orders, starring Bob Hoskins, Michael Caine, David Hemmings and Helen Mirren. 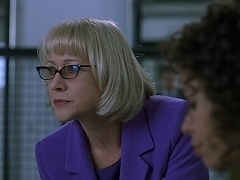 At the hospital, the Boss (Helen Mirren) talks to Beatrice's doctor (Julie Christie). The news team is devastated to hear about the plane crash that Beatrice was in. 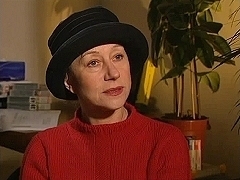 The Boss (Helen Mirren) and her team are looking for a new good story. Theatrical trailer for No Such Thing, directed by Hal Hartley and starring Sarah Polley. 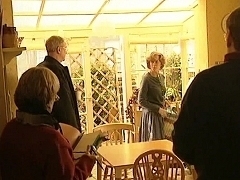 Jerry (Jack Nicholson) meets with the Doctor (Helen Mirren) to discuss his case and current state. 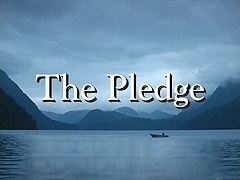 Television spot for The Pledge, directed by Sean Penn and starring Jack Nicholson. 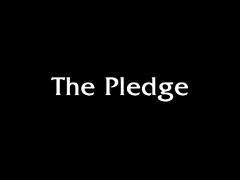 Theatrical trailer for The Pledge, directed by Sean Penn and starring Jack Nicholson. 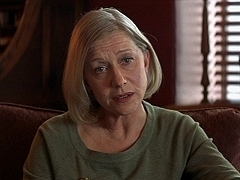 September 2001. 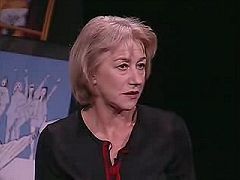 Actors Ian McKellen, Helen Mirren and David Strathairn promote their current Broadway performances in Dance of Death. 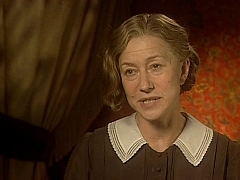 British television special on Robert Altman and the making of Gosford Park, featuring an interview with Helen Mirren.